Watching a child struggle with sleep apnea, is a heartbreaking effort. 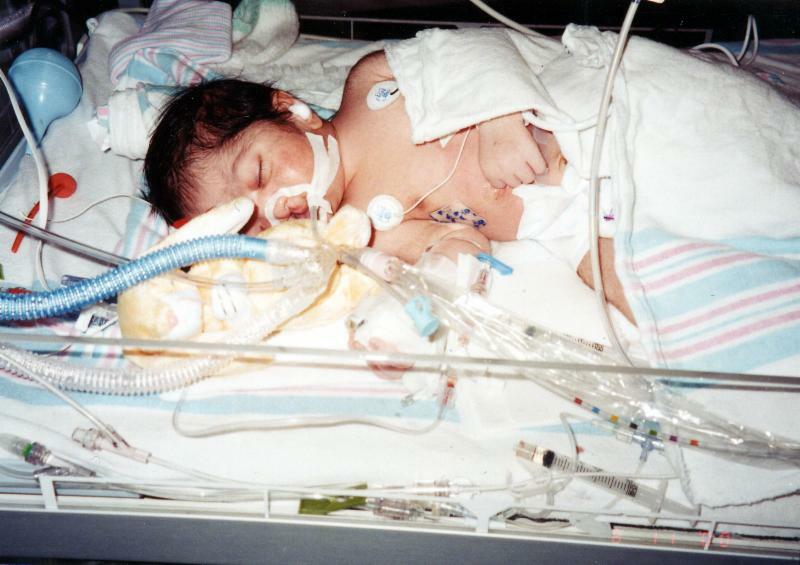 For a parent, the gift of a baby's sweet, soundless breathing cannot be taken for granted. Recently, a close friend shared their newborn's new diagnosis of sleep apnea. As this father's voice wavered in sharing their fear in going to sleep and the details of their daughter's emergency room visit, my mind could not help but go back to Philip. I heard Santhosh comfort the father by saying, "We remember, we went through that too, and your baby is going to make it." Santhosh went on to quote Psalms 121:4, "Behold, He who keeps Israel will neither slumber, nor sleep." We spent many sleepless nights at Philip's little toddler bed, watching him carefully and making sure his chest was rising. His airway was smaller than normal, so the harsh sounds of struggled breathing became the norm for him. He would jar himself awake, when he could not get his breath. Then he would wake up and the cycle would continue. I remember one night, I could not take it any longer. I knelt on the floor next to his bed and held on to him and cried. My mother-in-law tried to pull me away from the bed, but I could only hold on to Philip and try to reposition him in a hundred different ways in an attempt to open his airway. It was a fruitless effort, and nothing I could physically do would help him. There was no person or professional that could give clear cut answers and help for ourson. But this eternal Word that gives life and pierces to the marrow, was the only thing we could stand on in these times. It was our only source of comfort. We began to speak life over him. We prayed and gave his life into the Father's hand every night as we tucked him into bed. We went through various surgeries, and as Philip grew, some symptoms changed. It seems that one of 'best' gifts we could have is the ability to forget. Why would this be, you might ask? Honestly, I had forgotten that difficult path we walked through in Philip's early life. Those were horrible, grievous days that I would rather not remember or think on again. But it all came back to me, as we counselled and encouraged this new father with his new baby. The Second Corinthians Mandate comes to mind, and I'll conclude with that from 2 Corinthians 1:3Praise be to the God and Father of our Lord Jesus Christ, the Father of compassion and the God of all comfort, 4 who comforts us in all our troubles, so that we can comfort those in any trouble with the comfort we ourselves receive from God. Because of the comfort we received in our troubles, now we are able to comfort those in the same troubles we experienced. So, whatever the trials that you have experienced, know that the God of all comfort who comforted you, will enable you to also use the same comfort to bless another person.